Re: DON’T let your pet lick you? A cheery Friday to you all. I read a magazine article yesterday warning of ALL of the hazards of having a pet lick you with their tongue. A few “experts” talked about some serious diseases… then they made the assertion that these diseases can be avoided by staying away from wet kisses. Dr X talked about ALL of the bacteria in dog’s mouths – but in fact we humans have an even greater quantity of disease causing bacteria… huh… perhaps people should stop kissing? Dr Y talked about 2 diseases that can cause diarrhea – Campylobacter and Salmonella. How do people get infected with this germ? Campylobacteriosis usually occurs in single, sporadic cases, but it can also occur in outbreaks, when a number of people become ill at one time. Most cases of campylobacteriosis are associated with eating raw or undercooked poultry meat or from cross-contamination of other foods by these items. Infants may get the infection by contact with poultry packages in shopping carts. Outbreaks of Campylobacter are usually associated with unpasteurized milk or contaminated water. As you can see… NOT from dogs and cats. Contaminated foods usually look and smell normal. Contaminated foods are often of animal origin, such as beef, poultry, milk, or eggs, but any food, including vegetables, may become contaminated. Thorough cooking kills Salmonella. Food may also become contaminated by the hands of an infected food handler who did not wash hands with soap after using the bathroom. Once again… NOT from dogs and cats. 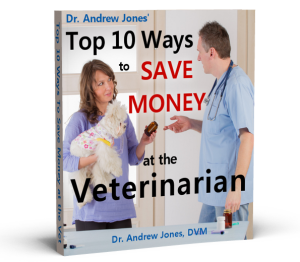 Can you get sick by contracting something from your pet? As stated by in the CDC website bout theses diseases – the primary way that you contract them is through CONTAMINATED and UNDERCOOKED meat – usually poultry. If you’re really worried – well, become a vegetarian. 1. Because it’s in a glossy magazine and has PhD behind it STILL does NOT mean that it is a TRUE story. QUESTION the conventional beliefs that you hear and read. Do some of your own research. Clearly the magazine article I read was NOT well researched…. the writer started with the premise that it is NOT safe to have your pets lick you, then went out to ‘prove’ it. Of course a few seconds of research proves otherwise. P.S. Thanks again to all of you who watched my videos and sent POSITIVE comments..I’ll be putting up some more next week. Michael (my brother and webmaster) is moving to Vancouver Island today, so he’ll be back on support on Monday. P.P.S. Feel free to comment on this article on my blog. I raise Chihuahuas. These are the sweetest dogs I have ever had (I’m 61 and have had quite a few dogs). If a Chihuahua decides to lick you, about the only thing that will stop them is locking them in another room! I know that dogs heal themselves and their puppies by licking sores and wounds. I have found that if I have a scratch or my hands or arms, the adult dogs will lick the sore. It may be my imagination that this helps it heal but it seems that way to me. My suggestion, If you don’t want to be licked, stay away from dogs, but that is not what I’m going to do. Some my think that this comment is a little gross but don’t knock it until you try it! are irreplacable. Remember that before making any “helpful” suggestions about them. I would have gotten it, but then, that was a silent understanding with anyone I let in my home anyway, so it would have been redundant. Yeah! Shout it from the rooftops! Doggie kisses can actually save our lives and make us live longer…by being the loving angels they are! My 2 Pits, Sybee and Izzy will give kisses any time, any place! yes it was hard. But not as hard as watching them ssuffer. I really wonder about some people! I can’t see how doggie kisses would hurt any normal person. If you’re severely immuno-compromised, maybe, but then that’s a whole different story. I’m now taking care of a cat who loves to sit on my chest and knead the floor — while slobbering all over my face in ecstasy. I dry off as soon as I can, but I haven’t experienced any ill effects. When I was a child, I used to have my cat lick any open wounds I had, as I read somewhere that cat’s saliva can be healing. Worked for me. I have 7 cats. My first cat loves to sit and lick my hand. I also bottle feed most of my babies. 3 of my babies would want to nurse on my lips. well 2 of the cats which is now a year old still, one wants to lick and stay atached to my upper lip. Then this other one still wants to nurse on the meat of my hand between my thumb and first finger and again he is a year old, but when he wants to nurse and be held with his head in my hand. And well no sickness. and I love all of my babies. We have three dogs, but two of them are indoor dogs. My young Border Collie is my ‘Hawaiian’ dog with her nickname “Licki Mollie Collie” If you say it fast enough it sound Hawaiian. You can guess how she got her name! She licks you to death especially late at night or early in the morning. My other dog is a Jack Russell and loves to give kisses on the mouth and then dive under the covers and go to sleep. Hi, My six cats and I just got back from a cross country trip in our 32 foot travel trailer. The kitties are all inside cats and have never been outside but they love the tailer. When guests come, they have a “cave” under the bed in the bedroom and the area under the sinks is theirs too. But as you can imagine, there is lots of close contact with all of them and never have I had any sickness or problems. The kitties are between 8 and 14 years old and I’m retired with 100% disability so we all enjoy traveling in our declining years. Anyone wondering if a cat would make a good traveling companion, give it a try, and if you’re on the road and see a trailer with a cat in every window, wave cause it’s probably us. Remember to get your vet to give you whatever paperwork you might need in the states you are going to visit. (If your pets are totally inside pets, some of these rules can be ignored but it is a good idea to check anyway) Most likely, it will just be a certificate of rabies vaccine. Have fun, enjoy yourself and kiss a few animals just for good measure. see you on the road, Tank, Tubby, Wednesday, Puggsley, Anna, Crash and me, bill. I wanted to tell you about Stinkey. He came every night to eat the cat food. I put out extra for him he was a young skunk. He was not a pretty skunk. I was very careful about startling him and we were able to stay out of each others way (my 5 kitties just walked around him) except once when Lacy and I startled him & she started barking. He let go with a smell I had in my house for 4 weeks or more. I still fed him. My one friend said you must keep feeding him but I said his friends are starting to come around and they are just beautiful but can’t have that and kept my garage door closed. 2 weeks later, I know it was stinky I recognized his tail, laying on the highway dead. I still cry because it was my fault I know. I just feel so terrible. I think it is very sad that this person who is complaining about the animals is so uncompassionate about the animals. They obviously have no concern for animals. I think that person should be looking for another place to live. This person obviously knew what he was getting himself into when he purchased the home. I find it most disturbing that they should be allowed to pusue any legal action. They should be told to move or shut up!!!! Mister Happy Neighbor needs a common sense transplant, and get a life or better yet, MOVE and get out of yours! You could always file a counter suit against him for harrasssment and being a twit! hi there sorry to hear that you are haveing porblems and some people should relize that not all dogs are quiet. and one that note I think that these dogs may be in need of the dog whisper have you ever watched the show i do every day and he works wonders and if he can help you out then the dogs could find the prefect homes. just a thought for you think about trying. I have a comment about barking dogs,and neighbors, was he there after the vets office or before reay doesn’t matter, I would invit a group of elementary kids over to earn the importance of taking careof an animal have a picnic in the back righ by his house,let them scream like kids do. I need to how do you stop dogs from attacking everything I have rats in a cage babies they bother then all he time utmy large one they can care less my rabbit too never bothered but kitties they look at them like lunch. I dicipline, praise when there good around them, but they don’t stop. friends say im crazyfor having so many different animls but I love animals. but my friends also call me crazy cause, I treat my dogs like kids they get time out, nap time. snack, lunch, dinner ,snack before dinner then bed they all have there beds in our room. Isn’t there a law against terroristic threatening?